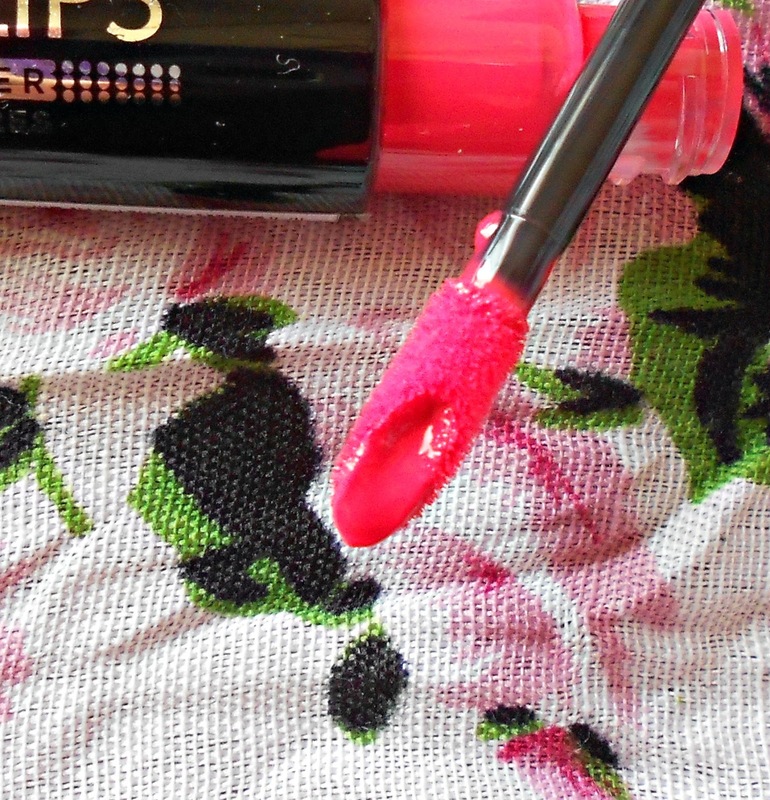 Apart from the 'Luna' shade, I also got the Rimmel Apocalips in 'Stellar'. I got mine from E-bay but unfortunately they have been sold out, but I've discovered that Feel Unique are stocking them at Euro 7.49 with free delivery (Yey! They ship for free: worldwide!). You can get them from here. The Apocalips come in a lip gloss type tube with a doe foot applictor. The applicator has a mini well which holds more product so that you can easily cover your whole lips with just one pump. I'm not going to repeat myself but you can check out my other Apocalips post for a complete review of packaging etc here. 'Stellar' is a coral-y/pink-y shade which will be perfect for the warmer months. Like 'Luna', Stellar feels really smooth once applied and not sticky at all, but you do need to prep your lips with lipbalm before you apply this if you suffer from dry and chapped lips. 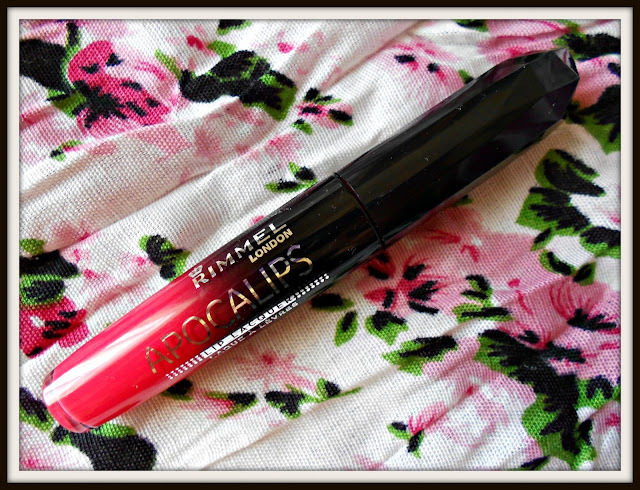 The Rimmel Apocalips have great staying power - you only need to re-apply these every 5/6 hours or so. This particular colour also stained by lips - so after the glossiness wore off my lips were still left with a hint of colour. yeah, I love the packaging! nice color and i personally love the applicator! Looks great!! I also love the packaging, looks quite 'expensive'. LOVE! I've tagged you in the Beauty Bloggers tag, check it out? 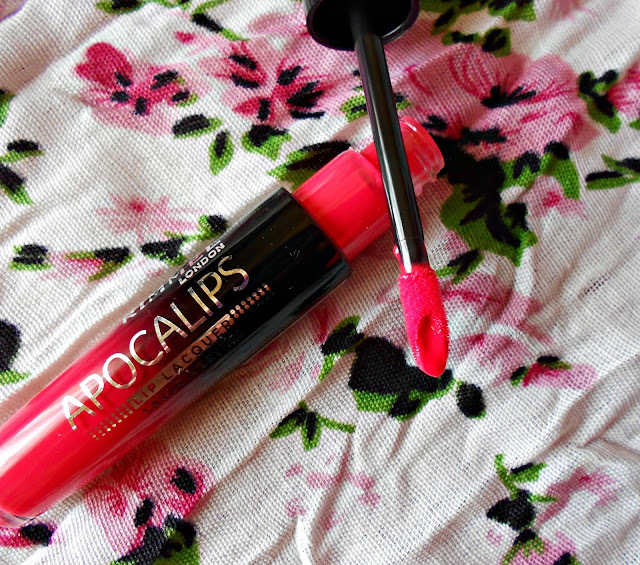 i haven't bought any of the apocalips yet, but this the shade that i know i will end up buying - it's so gorgeous!